When it’s time to downsize your home, most people freeze in fear at all the things they might be giving up. We think there are many positive reasons why a smaller home and fewer things will be a blessing. 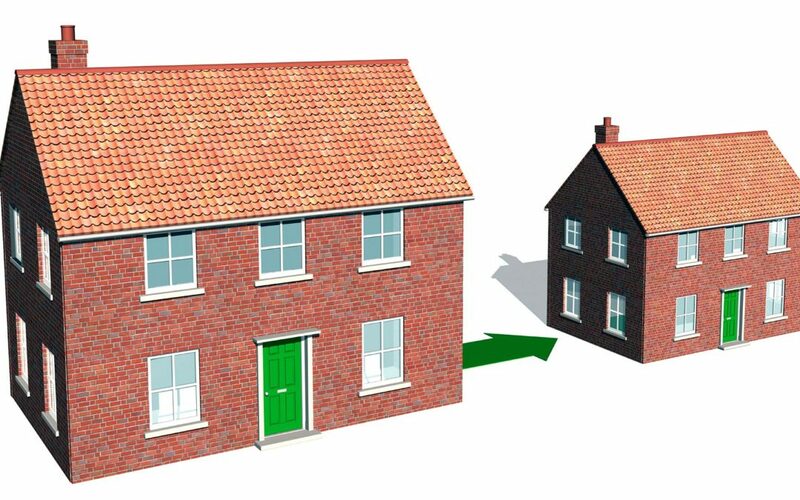 Here are 10 reasons why downsizing will set you free. Easier to maintain. A smaller home requires less of your time, energy, and effort to accomplish that task. Less time spent cleaning. Who doesn’t enjoy more free time? This is just a win-win. Less expensive. Everything about a smaller homes is less expensive, from the purchase, to the mortgage payments to the upkeep, You’ll pay fewer taxes, less on electricity, and it will be easier to heat and cool. A smaller, less expensive home means you’ll have more money to save. Those savings will start adding up over time. You’ve heard the saying “Do you own your stuff or does your stuff own you?” Live in a home where there is no clutter, and you’ll feel the freedom. And because you’ll be cleaning less and not maintaining as many possessions you get to have more free time. Priceless! Do you think green? A smaller home uses fewer resources and leaves a smaller footprint. If you don’t have any room in your house for that new treadmill, you’ll be less tempted to buy it in the first place (no offense to those of you who own a treadmill… and actually use it). Less temptation to accumulate. One woman who downsized will only buy new clothes if she cycles out something else in her closet. She has a set number of hangers, period. There will be a wider market to sell to down the road. A smaller, more affordable house is affordable to a larger percentage of the population.